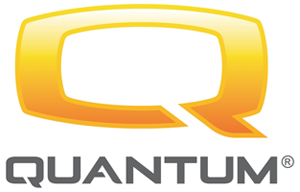 Quantum Rehab® is dedicated to being the premier global innovator of consumer-inspired complex rehab mobility technologies that not only deliver medical comfort, but also the features needed toward overall well-being, serving the entirety of users’ activities of daily living. Visit Quantum Rehab’s website for more information. Mitsubishi Tanabe Pharma America, Inc. (MTPA) is committed to providing significant scientific advances designed to provide important treatments to those facing serious and life-threatening diseases. Mitsubishi Tanabe Pharma Corporation (MTPC) is one of the world’s oldest medicines companies, with over 300 years of experience advancing innovative treatments. In 2009, MTPC opened its first U.S. headquarters with a focus on developing and commercializing new compounds for the U.S. market. MTPA officially launched in 2016 with the ambitious goal of developing therapies for some of the most difficult-to-treat diseases, including amyotrophic lateral sclerosis (ALS). Visit Mitsubishi Tanabe Pharma America's website for more information. Biohaven is a clinical-stage biopharmaceutical company with a portfolio of innovative, late-stage product candidates targeting neurological diseases, including rare disorders. Our product candidates are small molecules based on two distinct mechanistic platforms – calcitonin gene-related peptide, or CGRP, receptor antagonists and glutamate modulators – which we believe have the potential to significantly alter existing treatment approaches across a diverse set of neurological indications with high unmet need in both large markets and orphan indications. Visit Biohaven's website for more information. ITF Pharma is a Pennsylvania-based specialty pharmaceutical company committed to investing in and commercializing impactful medicines in therapeutic areas with unfulfilled needs. ITF Pharma is the U.S. subsidiary of Italfarmaco, a privately-held European specialty pharmaceutical company engaged in the development of new and groundbreaking therapies. Visit ITF Pharma’s website for more information. We build one-of-a-kind mobility devices designed specifically for your body and your needs. Your chair is comfortable, safe and works completely in sync with you. In fact, you may forget where you end and the chair begins. Ours is the ultimate custom-made. The chair you deserve. Visit National Seating and Mobility's website for more information. For over 45 years, Permobil has been a leader in the complex rehabilitation power wheelchairs industry. No other company can match our record of product "firsts" or our influence in shaping seating and mobility solutions. Our brand is asked for by name, known for quality and trusted by therapists, prescribers, dealers and consumers to be the best. Visit Permobil’s website for more information. Prentke Romich Company believes that everyone deserves a voice. For 50 years, PRC has been leading the way in giving a voice to those who cannot speak for themselves. Since our founding in 1966, PRC has paved the way in the development of speech-generating devices (SGDs) and continues to innovate in the field of augmentative and alternative communication. We are also a pioneer in the field of language and vocabulary development, giving children and adults with communication challenges the ability to participate in life. Visit PRC’s website for more information. Soleo Health is an innovative national provider of home and alternate-site specialty infusion. Our team of experienced clinicians provides exceptional care in managing complex disease states through comprehensive pharmacy, nursing, education, and therapy management programs. Visit Soleo Health’s website for more information. Talk To Me Technologies specializes in augmentative and alternative communication (AAC). Through our exclusive line of speech-generating devices, we bring speech to life. Our all-inclusive services and support makes it easier and faster to choose, fund, and learn how to use a speech-generating device, so our clients can focus on communication. Visit Talk To Me Technologies’ website for more information. Hill-Rom is a leading worldwide manufacturer and provider of medical technologies and related services for the health care industry, including patient support systems, safe mobility and handling solutions, non-invasive therapeutic products for a variety of acute and chronic medical conditions, medical equipment rentals, surgical products, and information technology solutions. Hill-Rom’s comprehensive product and service offerings are used by health care providers across the health care continuum and around the world in hospitals, extended care facilities, and home care settings to enhance the safety and quality of patient care. Visit Hill-Rom’s website for more information. Functional Formularies offers the world’s first 100% certified organic, Non-GMO, nutritionally complete, shelf-stable feeding tube formula and oral meal replacement products. Liquid Hope is formulated to be a sole-source nutrition formula for adults and Nourish, the enteral formula and oral meal replacement formula is optimized for pediatrics. Visit the Functional Formularies website for more information. Invacare is the global leader in the manufacturing and distribution of innovative home and long-term care medical products. Invacare offers a full portfolio of custom manual, sports/rec, and power wheelchairs. Visit Invacare’s website for more information. Only inCourage Airway Clearance Therapy offers “active venting,” which lets users take a deep, more comfortable breath during therapy. More comfort makes it easier to keep up with prescribed therapy sessions-and that can mean better outcomes for chronic airway clearance conditions. Visit RespirTech's website for more information. Our unique formulations raise the standard of quality nutrition for those with a range of dietary and medical needs. Always plant-based and organic ingredients without the most common allergens or additives. Widely loved because of increased tolerance, improved outcomes, and a delicious taste. Visit Kate Farms' website for more information. We are a small business focused on developing products that make it easier for people to do what they want to do. We “design beyond the limits” of today’s technology, the environment, or a person’s physical or cognitive abilities. Our expertise is designing for people with disabilities. Visit Blue Sky Design’s website for more information. Avanos is a medical device company focused on delivering clinically superior breakthrough solutions that will help patients get back to the things that matter. We believe a difference in our products, combined with a difference in how we work, communicate and partner, can change the entire world. Visit Avanos’ website for more information. LC Technologies began in 1987 with a drive to help individuals communicate with their loved ones. We are engineers, developers, medical professionals, and educators who are passionate about building the world’s best eye-tracking communication hardware and software solutions and delivering them with superior customer service. At LC Technologies Inc., we give the gift of communication. Visit LC Technologies, Inc.’s website for more information. Originally inspired by their young tube-fed son, AJ, who is now the company’s “Chief Inspiration Officer”, and a belief that we all deserve real food, Julie and Tony Bombacino sought to create a company that provided easy access to 100% real food meals and nutritional variety to tube-fed people and their families, at home or on the go. Visit Real Food Blends’ website for more information. ResMed, a world-leading connected health company with more than 6 million cloud-connected devices for daily remote patient monitoring, changes lives with every breath. Its award-winning devices and software solutions help treat and manage sleep apnea, chronic obstructive pulmonary disease and other respiratory conditions. Visit ResMed’s website for more information. Millions of people worldwide suffer from disabilities that limit the use of their hands and prevent them from doing activities that most of us take for granted – like using our mobile devices. With Open Sesame, that freedom and control is restored. Using the front-facing camera of any Android device, Open Sesame tracks head movement to unlock touch-free texting, social activity, searching the web and so much more. Visit Sesame Enable’s website for more information. As a global leader in the sleep and respiratory markets, we're passionate about providing solutions that lead to healthier patients, practices, and businesses. For us, innovation in sleep apnea management, oxygen therapy, noninvasive ventilation, and respiratory drug delivery is driven by gaining insight into the needs of our customers. Visit Philips Respironics’ website for more information. We are known around the world, USA and Canada for designing and engineering brilliant off-road power chairs – a reputation that’s been built on our amazing Extreme X8 (4X4) power wheelchair. But the really important truth about Magic Mobility is that we build power chairs that can handle ANY terrain where people want to go; All the way from the extreme off road to cramped indoors. And for most users, the ideal chair is one that can stretch as far as possible across that range. Visit Innovation in Motion’s website for more information. Ventec Life Systems is redefining respiratory care to improve patient outcomes and reduce caregiver challenges in the hospital and home. Ventec's leading product, VOCSN, seamlessly integrates five separate devices including a ventilator, oxygen concentrator, cough assist, suction, and nebulizer into one unified respiratory system. Visit Ventec Life System’s website for more information. Our mission is to be a companion for your communication journey, no matter the starting point. We deliver world-class software and devices, as well as an unparalleled ecosystem of support to ensure all your goals are met. Visit Tobbi Dynavox’s website for more information. Numotion is the leading provider of Complex Rehab Technology (CRT) in the United States. That means we’re helping thousands of people with individually configured, medically necessary mobility products and services. From manual and powered wheelchairs to disposable medical supplies that serve unique medical and functional needs, we are helping more people live more freely. Visit Numotion’s website for more information. Respiratory Quality Services is a respiratory company focused on providing top quality services for all Respiratory Medical Home Equipment. RQS specializes in ventilation and secretion clearance of the neuromuscular patient population. Visit Respiratory Quality Services’ website for more information.